Witnessing to dislocation, exploitation, violence, resilience, and survival, personal storytelling, as it is produced, circulated, and received around the globe, lends particularity to abstract principles of human rights and keeps the passage of time and forgetting at bay. 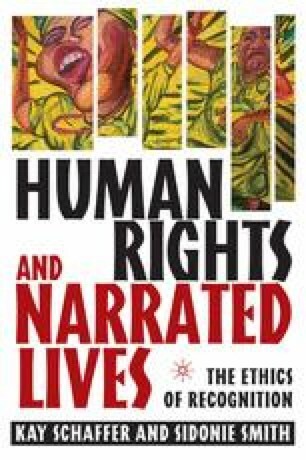 And yet, as the five case studies elaborated in Human Rights and Narrated Lives have revealed, the efficacy of personal narrating in human rights campaigns defies simple analyses. Human rights must be theorized in a way that privileges stories and lived experiences of individuals and peoples. It is as these stories are personally engaged with, reflected upon and lived out by becoming part of our lives that we are most likely to find the resources to respect others. If rights are what historically subjugated peoples most need, rights may also be one of the cruelest social objects of desire dangled above those who lack them.